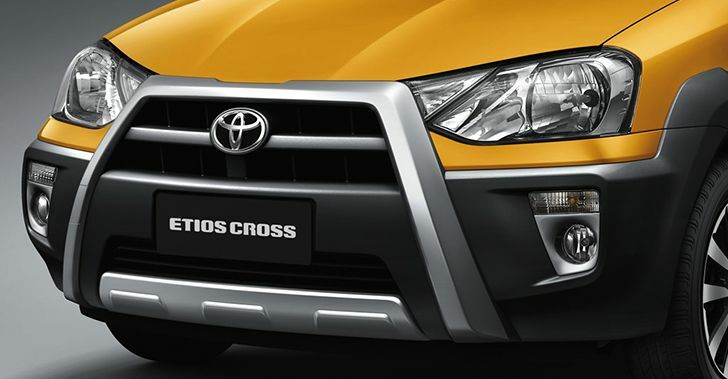 Few days ago we brought you the news and spy shots of the Toyota Etios Cross. Now we have a few more details on the car. Firstly, the car will have a full black glossy finish interior which will complement the rugged exterior. Not many people were happy with the interiors of the Etios hatch and Toyota hopes to address that issue. The seats will be fabric with ‘Etios Cross’ badges to give a more upmarket feel to the car since it will compete against the European Duster, Fiats new Punto Adventure, cross Polo and the Ford Ecosport. The overall length, width and height is now 3895 mm X 1735 mm X 1555 mm which was earlier 3775 mm x 1695 mm x 1510 mm. There are no mechanical changes in the car so the wheel base remains same to 2460 mm. The car will have new alloy wheel design with 180/60 R15 tyre size. 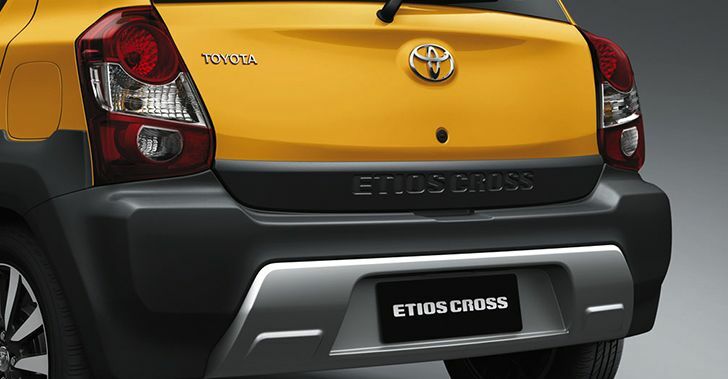 With all the details already in front of you, we also have some sad news about engines in Etios Cross. The 1.5 liter from the Toyota Liva TRD would have made more sense for this model but the engines will be the same as the Etios Liva with no modifications. The petrol engine is 1.2 liter motor with 80 PS and 104 Nm of torque whereas the diesel mill is also same 1.3 liter motor that produces 68 PS with 170 Nm of torque. The petrol variant will be named “V” and it will have many features as standard. These features include Dual Airbags, integrated audio system with Bluetooth connectivity. 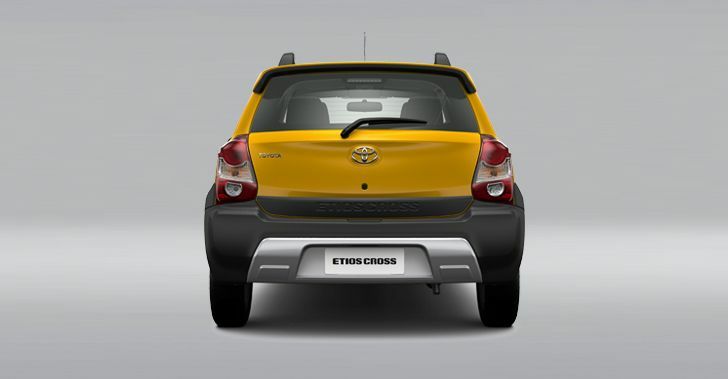 On the exterior side there will be badges of Etios Cross on side cladding and on rear boot lid. 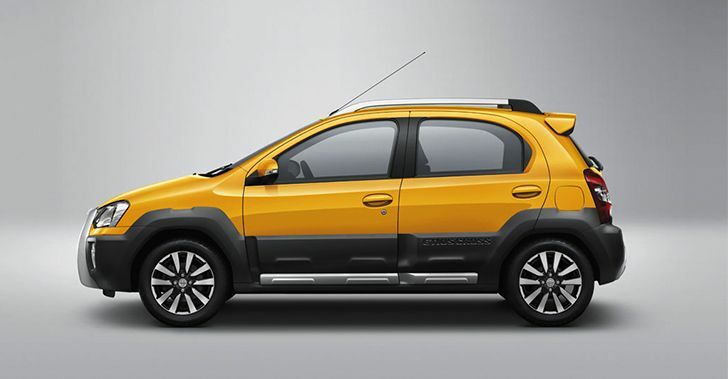 The company plans to launch this vehicle in the 2014 Auto Expo next month and a price of around INR 50,000 – 80,000 more over the top end variant is expected for the Etios Cross. There are few cars which are already in the market like VW Cross Polo, Fabia Scout and these cars have failed to impress the prospect buyers because of the entry of sub-compact SUVs in the same price range bracket. Read about our first report on the Etios Cross here.